"Through my paintings I attempt to record a feeling or mood that cannot be described verbally. I make use of metaphor and symbolism to convey my message and like the romantics; I strive to merge the self and nature in landscape paintings. Much of my work involves the relationship of man and the natural organic world he lives in or isolates himself from. It is my hope that the viewer will find solace and mystery in these light filled works of contemplation and meditation." Mark Workman was born in Lancaster, PA. He received his Bachelor of Fine Art degree from Tyler School of Art located in Philadelphia, PA in 1982. Since then, he has won numerous awards and grants. 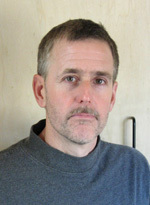 Mark has been a part of many group and solo exhibitions, mainly in Pennsylvania and New York. However, his work is a part of multiple corporate and public collections across the country.